You will find our website unique and simple to use. Our online Notice to Owner / Notice to Contractor service will benefit all parties involved with construction projects in the State of Florida. 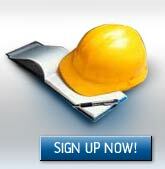 There is NO MEMBERSHIP FEE required to register or to order a Notice to Owner. Be sure to review our pricing page and learn more. NTO Management is pleased to announce that Steven M. Siegfried and Nicholas D. Siegfried of the law firm Siegfried, Rivera, Lerner, De La Torre & Sobel, P.A. have recently published the Tenth Edition of their book, "The Florida Construction Lien Law, an Overview." This book, first published in 1986, contains a comprehensive overview of Florida's construction lien law, a copy of the Florida lien statute, and a complete collection of forms necessary to comply with the law. Copyright © 2003-2019 NTO Management, Inc.